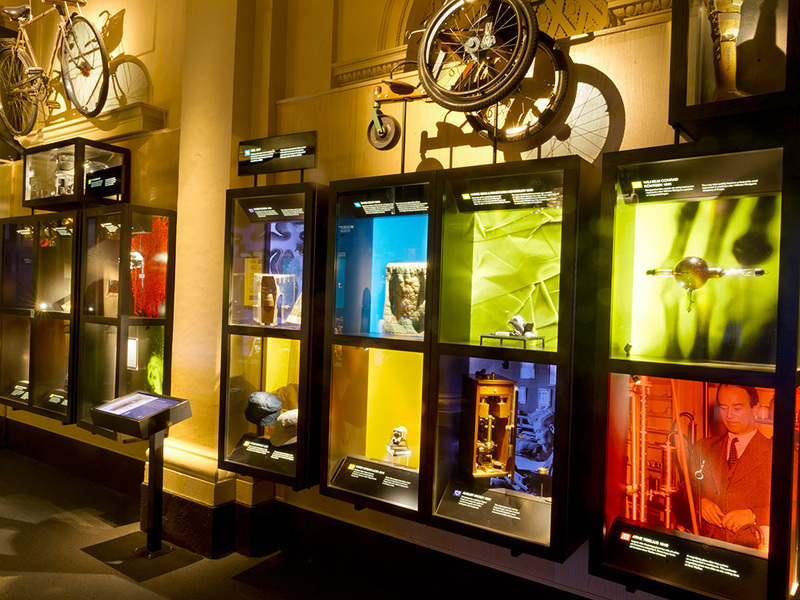 Permanent exhibition of Nobel Prize Museum. What is creativity and how can creative activity best be encouraged? Which is more important to the creative process: the individual or the environment? The Centennial Exhibition examines these questions by presenting selected Laureates and milieus from the 100-year history of the Nobel Prize. The Exhibition does not provide specific answers, but gives visitors the chance to think about these questions for themselves. Courage to think on entirely new lines, daring to question established theories, innovative combinations of insights from the different fields – these are some of the characteristics of creativity. These characteristics may be illustrated by physicist Wilhelm Conrad Röntgen’s research, the work of Peace Prize Laureate Martin Luther King, and the literary works of Selma Lagerlöf – all presented at the Exhibition. In creative environments there are often informal meeting places for spontaneous, unplanned discussions. These were the Paris cafés of the 1920s, where Nobel Laureates such as Hemingway and Beckett worked, and today the cafeterias in CERN or in Cambridge, with all its colleges. There are presentations of more than thirty Laureates and their creative work, as well as a number of milieus that inspired creativity, in the film room and artifact theater. The Exhibition also gives an account of the Nobel Prizes of the 20th Century. Well-known Nobel Prizes are discussed against a background of historic events. Nobel Prizes that were controversial at the time are also discussed, such as the Peace Prize awarded to German journalist Carl von Ossietzky in 1935.